Is there anything truly distinctive about the iPhone or iPad? According to the folks hating on Cupertino’s big patent victory, differences between Apple, Samsung and anyone else’s smartphones and tablets are purely cosmetic. After all, the iPhone and Galaxy S3 are just collections of garden variety components and software that all look and work the same — really, Apple never invented anything. Add an Apple logo and suddenly the world owes Tim Cook et al $30 a handset — totally unreasonable and unfair! So, yes, if we stick to the basic ingredients list [Ed: display, processor, housing, etc. ], Apple didn’t invent anything…not the Apple ][, nor the Macintosh, not the iPod, the iPhone, or the iPad … to say nothing of Apple Stores and App Stores. We’d seen them all before, in one fashion or another. Edison didn’t invent the lightbulb, but he’s the person who made it real — it wasn’t obvious until he made it so. 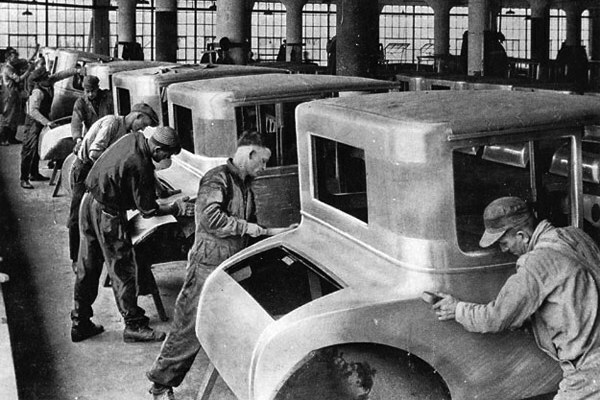 Ford didn’t invent the automobile, yet cars didn’t go mass market until Henry worked his magic. The same is true of Steve Jobs and Apple. That is, everyone started with the same parts and basic software components, but it was Apple’s products that have changed the world, again and again.